Looking for a good meal this Thanksgiving but don't want the hassel of cooking it yourself? 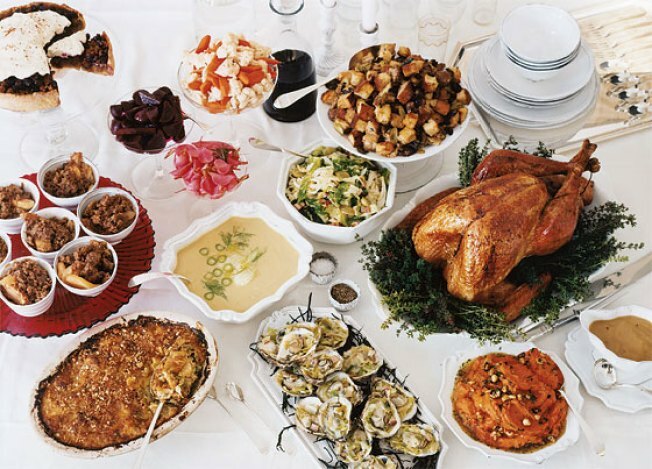 Looking to eat out on Thanksgiving but are budget-conscious this year? The following BR Guest locations are offering amazing pre fixe menu options. 31 Union Square West at 16th St.
1567 Broadway at 47th St.
384 Columbus Ave. at 78th St.
For those who are preparing a Thanksgiving feast at home, Chef Brian O'Donahoe of Primehouse New York and Chef Matt Hughes of Blue Water Grill are available to participate in cooking segments with budget-friendly Thanksgiving dish options. Also, Wildwood Barbeque is offering a Thanksgiving To Go menu so that New Yorkers can feel like they are eating out while dining at home with "Just Turkey" for $55 or a "Feed the Family" option for $160.